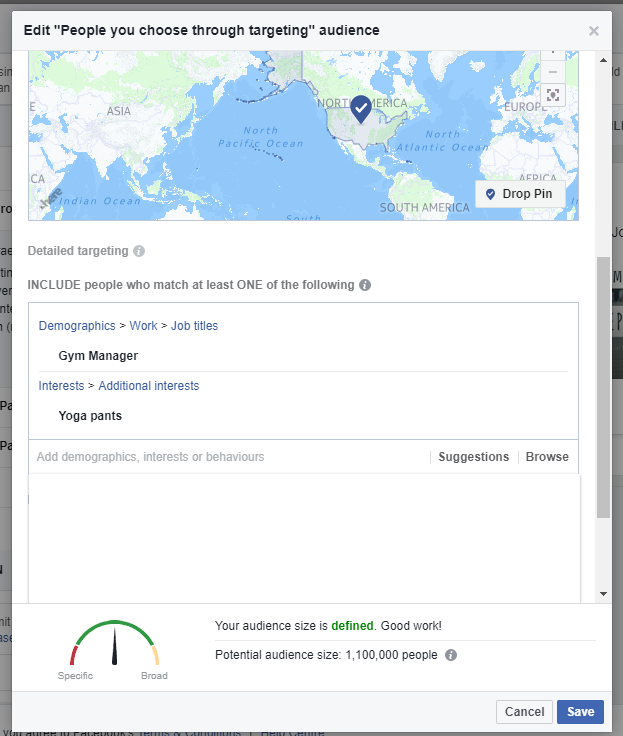 We know that Facebook ads offer marketers unprecedented targeting to a variety of segments including location, demographic, interest and behavioral segmentation. But it’s learning to combine these targeting methods that separates the beginners from the experts, the puppies from the big dogs, and the eCommerce beginners from the big success stories. The thing is, although Facebook custom audiences are hugely successful, it’s how you tweak your targeting that will ultimately determine your success. That means segmenting using interests, placements and/or exclusions is the key ingredient to Facebook marketing success and what sets the pros apart from the amateurs. 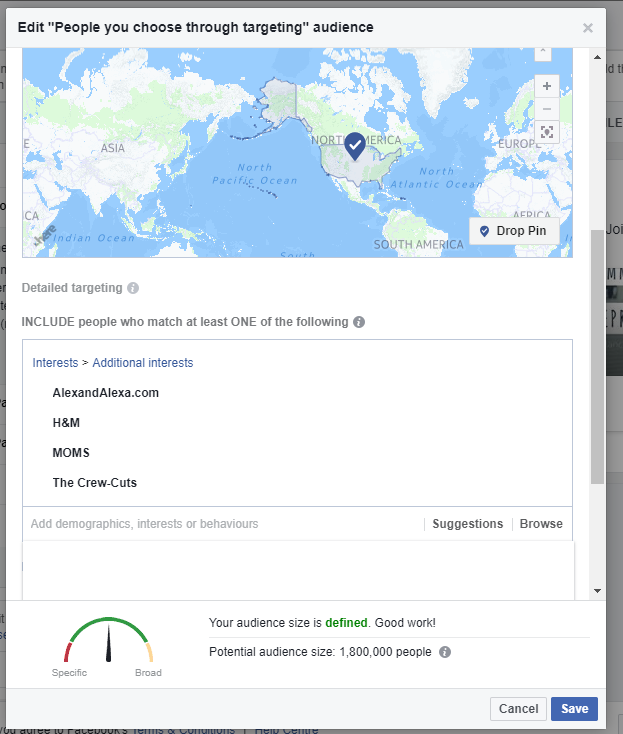 If you’re looking to up your Facebook PPC marketing game, test these 7 expert Facebook ad targeting strategies to help you create well-segmented audiences to raise ROIs and turn you into a pro marketer. The perfect marketing plan works in harmony with all your PPC campaigns, giving you valuable data you can cross-use. Your Google Analytics has lots of juicy information about your web traffic and shoppers that you can implement in your Facebook ad targeting. Google’s Demographics Overview allows you to break down your site traffic by interest, location, device and demographic, as well as by affinity categories. All of which provides you with highly-focused data that can be used for your Facebook ad targeting. This is highly valuable data that you can use to create highly relevant, segmented target audiences for new Facebook campaigns and highly specific targets with a big understanding about what works for your potential shoppers. By crossing over demographic and interest data from engagers to get more clicks and sharing for your Facebook campaigns. The trick to this targeting strategy is using demographics of people more likely to share your campaigns in related fields. Say you are an online fashion brand running a new season line awareness campaign on Facebook; along with your interest target, you can use demographic data to target ‘viral makers’ in your niche. This will allow you to include people who are more likely to have bigger networks to share your posts in your reach. 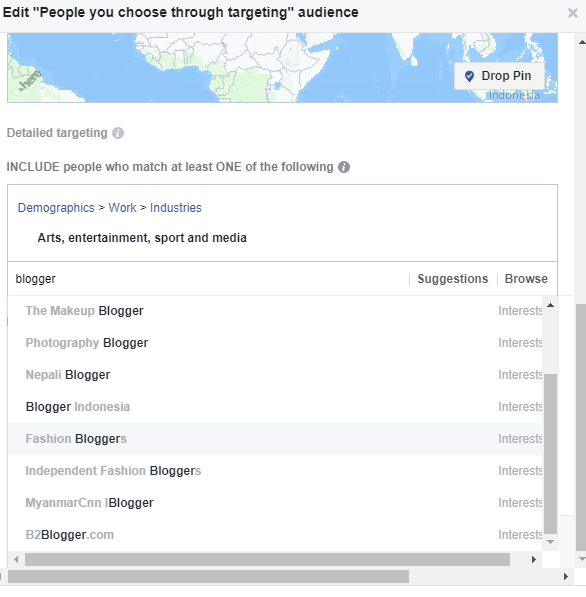 ‘Employee’ or ‘work/job’ targeting can be highly accurate as it’s normally based on information Facebook users have added to their profiles themselves and definitely a top 7 targeting strategy to test. If you’re not running campaigns specifically targeting shoppers interested in other brands, you could be missing out. What makes this type of targeting successful is that it’s based on what users have liked themselves, not just posts they have shared or engaged with. Let’s say you have an online store selling kids’ clothing aimed at US mothers. Creating very specific audiences that separately target a few of your biggest competitors or other big name brands at a time, can have awesome results. Targeting your competitors’ biggest fans can be highly effective when running brand awareness campaigns. You already know that they are engaged in your niche and therefore once you have their attention and they move to the next buying step, you will be better able to convert them with successful remarketing ads. So you’ve created a lookalike audience and are running your campaigns to it. However, without segmenting this market down further and therefore running campaigns separately to segmented lookalike audiences, you could be hurting your reach. So what’s the easiest fix? 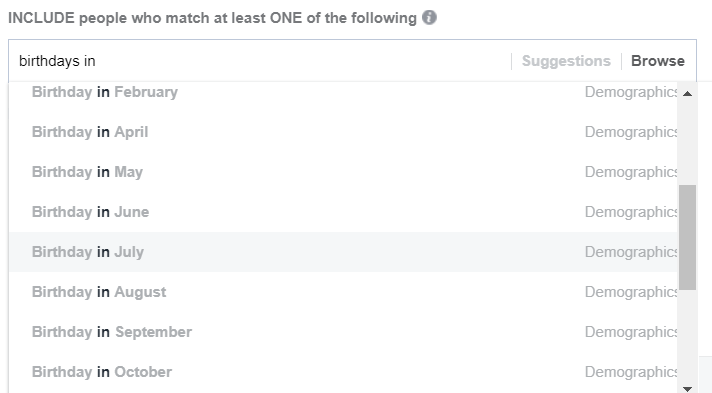 Using lookalike audiences with interest-based targeting. When creating your campaign, you want to select your lookalike audience and then add interest targeting so that you are targeting customers who match your shoppers and are interested in specific things you believe your target audiences are interested in. You can make this type of targeting narrow when wanting to reach a very specific section of your potential audience who would be interested in a product or promotion. Or, you can keep it broad for your mass market campaigns. Note: When using this targeting strategy, to keep conversation data large enough for Facebook to model offer, you will want to ensure you keep your target audience above 100k for good conversion optimization. 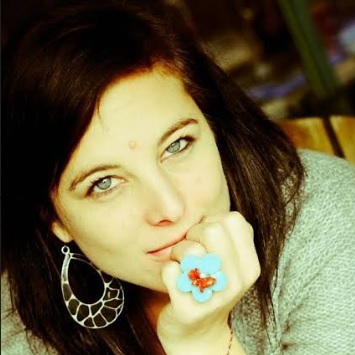 Another way of segmenting your targeting is by placement. Say your lookalike campaigns are doing well on mobile and so is your engagement; you can choose to eliminate desktop placement to lower your Facebook costs while still maintaining good ROIs, but this data may also be pointing you to another solution: adapting ads and/or promotions per device. It could be that your target audience may be using one type of device more than another. Try targeting desktop, Android or iPhone users separately to compare ROI data. Try using different types of promotions or campaigns with these different audiences. Have you tried targeting life events yet? For example let’s assume you are an online store trying to push subscription box services as gifts; you could be targeting potential shoppers who have a friend’s birthday coming up with specific birthday present messaging. Or if you’re selling flower girl dresses you could target lookalike or other Facebook custom audiences who fall under the ‘Engaged’ life event demographic. 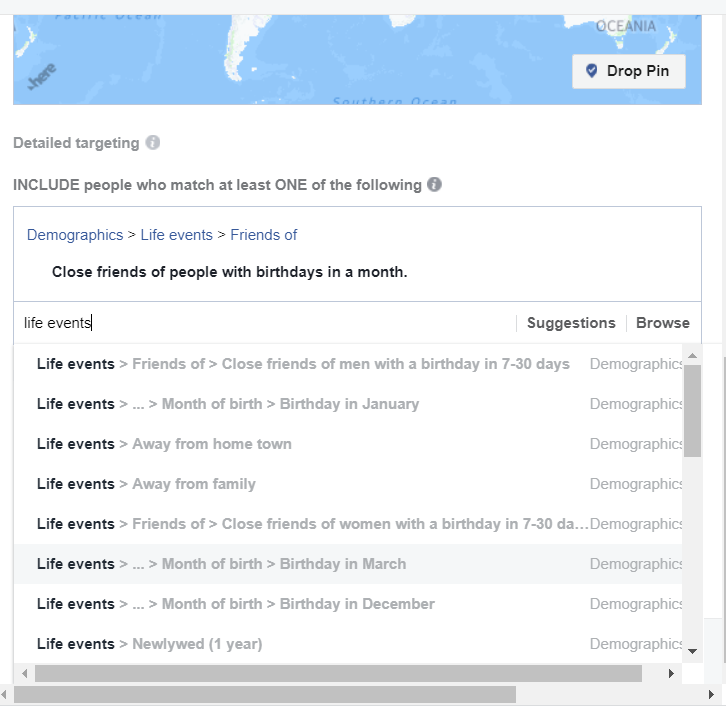 Other demographic indicators that you can target can include specific publications such as Bride Magazine or, in the case of the birthday example, specific birthday months. By now we already know how to set up exclusions in remarketing campaigns to ensure you are not targeting the same people over and over again, but these are not the only exclusions to consider. Say you’re running an awareness campaign specifically aimed at shoppers who don’t know your online store brand yet. You’ll want to exclude people who already know and/or are interested in your brand to ensure your ad is reaching the right people to match your objective. Another example of how to use exclusions would be if I wrote a guide on WooCommerce, I could then exclude Shopify users from my targeting, regardless of what custom audience I was using for the campaign to further segment my targeting. One of the biggest mistakes Facebook marketers can make is assuming that once you’ve created custom audiences, the targeting work is done. Interest, demographics and exclusions play a huge part in ensuring that each of your ads are not only reaching the relevant shoppers, but appealing specifically to them. Let’s say you’re a shoe shop running a campaign to a custom audience target audience with a reach of 1 million. Try segmenting that audience further by eliminating or adding interest targeting. So instead of running a summer special ad to all of them at once, separate your ads into those who are interested in sports or work in corporate environments and then show summer product specials related to their interests. Here’s a rough sample of what I mean. Here’s a rough sample of what I mean. By separating this audience in campaigns by adding extra targeting segmentation and adapting the campaign accordingly, your chance of engagement with those ads will be much higher. This is just one way to adopt the strategies listed here. The goal, ultimately, is to test what works for your brand, ensuring you get the most clicks and conversions for your spend. Ads still not performing as you’d like? Here are 7 reasons why!